Something very exciting happened in the run up to Christmas, and it meant that I was so busy I am only now finding time to write about it. 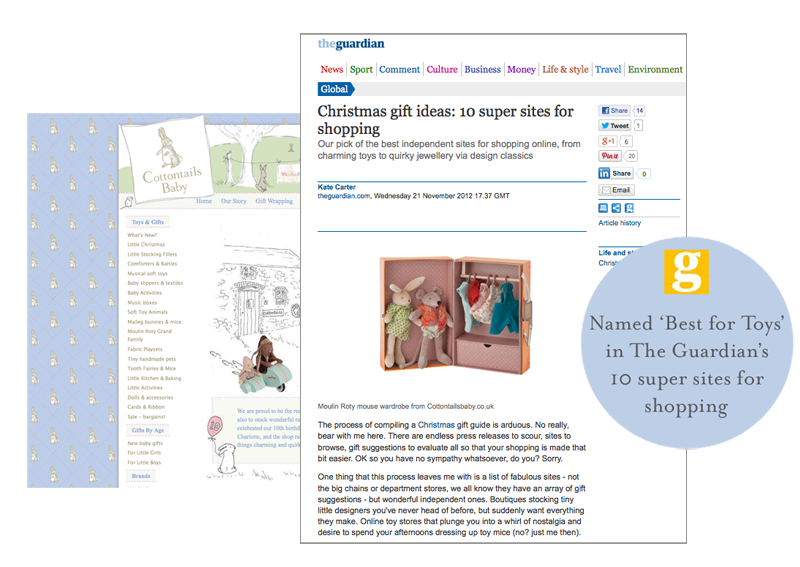 Cottontails baby was named 'Best for Toys' in The Guardian's guide to independent online shopping! This little accolade, along with having several products featured in their Christmas shopping gift guide, has meant a huge soar in sale, just going to show that a bit of 'big' publicity makes such a difference to a little shop like mine. I am delighted!